Ex- THISDAY Staff, AbdulWahab Emerges Bolagun-Fulani-led Kwara APC Guber Candidate – Royal Times of Nigeria. A former senior journalist with THISDAY newspaper, Honorable Kayode AbdulWahab has emerged the gubernatorial candidate of the Ishola Balogun-Fulani-led All Progressive Congress, APC in Kwara state. AbdulWahab, who is a former majority leader at Kwara State House of Assembly polled eight hundred and ninety one votes to beat the other twelve contestants. A total number of one thousand and seven delegates participated in the governorship primary held at the state party secretariat, Onikanga road, GRA, Ilorin today. The returning officer for the primary, Honourable Christoper Ayeni declared Abdulwahab winner of the peaceful primary amidst jubilation from party supporters. 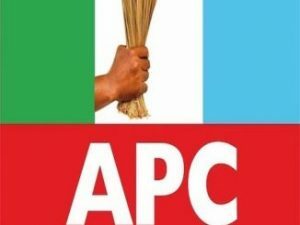 Speaking at the event, the factional APC chairman in the state, Balogun-Fulani said his own congress and primary will be approved by the national body of APC, noting that he has the legal and constitutional backing to carry out the election. The party flag bearer, AbdulWahab in his reaction expressed optimism that his party will emerge victorious in the 2019 general election.